We came away from this morning’s workshop at the theatre really inspired by the way the children had responded to an integrated art and storytelling approach. 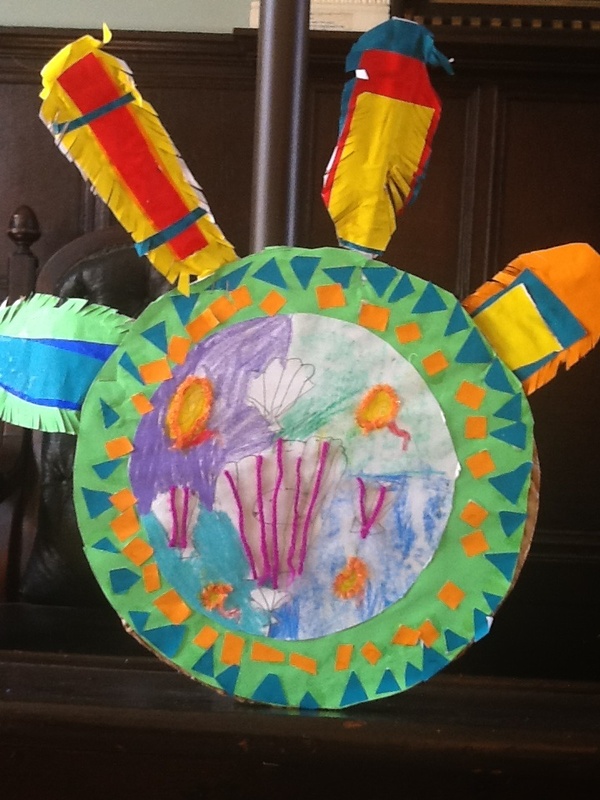 Drama Extravaganza this summer is all about the Aztecs and we started the week with a full day of art activities. 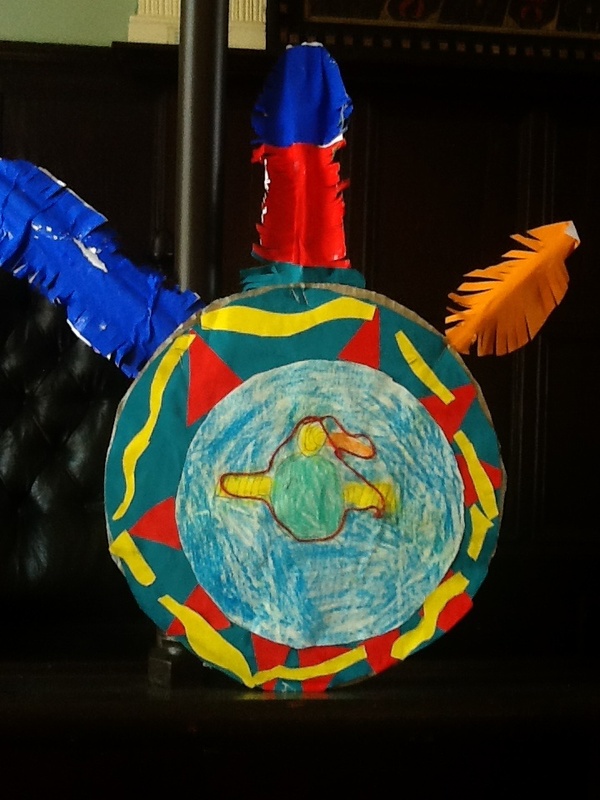 The children talked about the reasons why the Aztecs made art and decorative objects and how they used human and natural forms as symbols to represent ideas about religion and war. We then spent a while looking at Aztec motifs practising the drawing style and allowing the children to try out symbols of their own. These were used as the centre piece of some impressive Aztec shields. 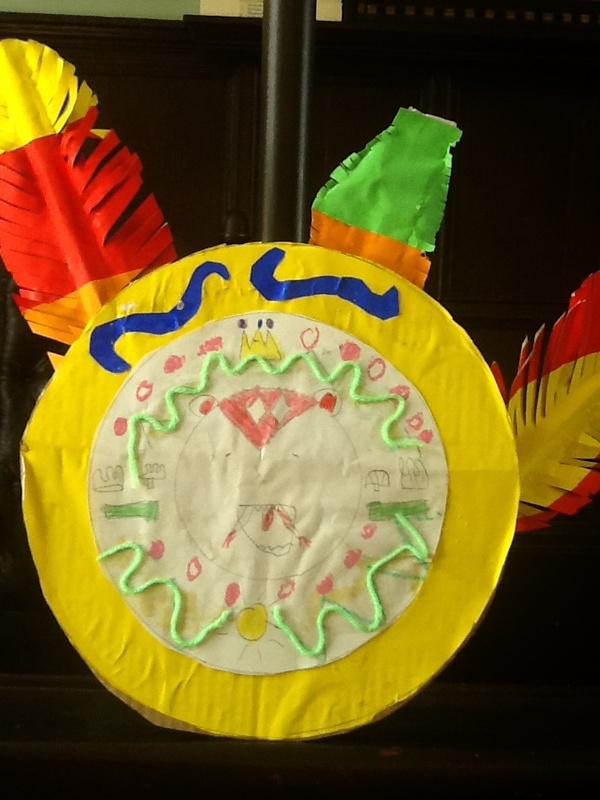 For decoration we thought about the Aztec craft of feather work and looked at images of Montezuma II’s headdress made from the feathers of more than 250 Quetzal birds. 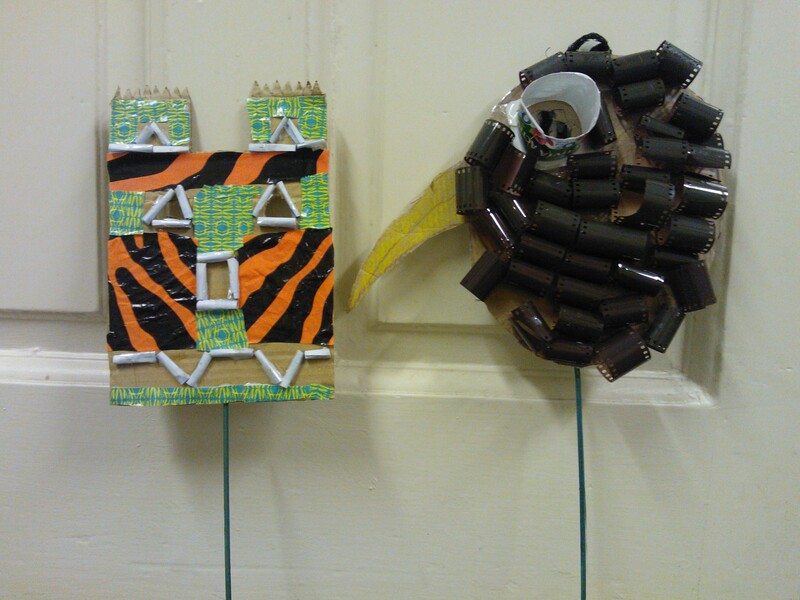 The children learnt their own craft of paper feather making and added these to their shields. On Thursday we spent the day with 30 children attending the theatre’s drama week. 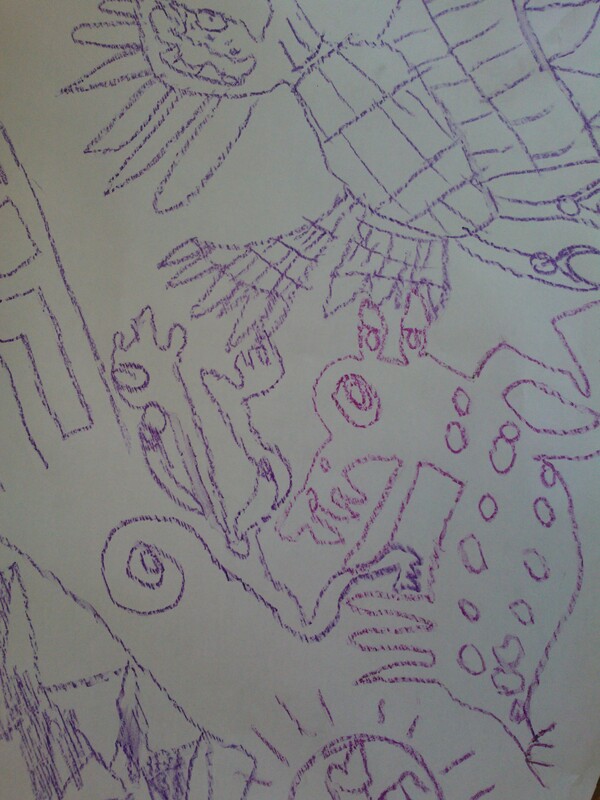 Their theme this year was time travel and we started the day with a large shared drawing imagining travelling to the year 4013 where a new species has evolved: part human and part alien visitor. The children drew the futuristic world then using collected plastics they created disguises to help them accomplish their mission undetected. The disguise on the right has a special secret giant eye.